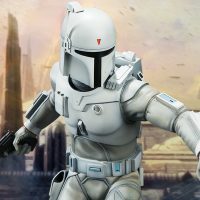 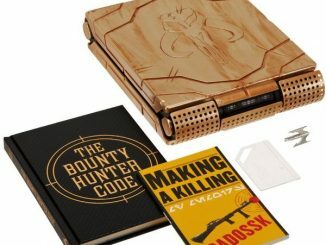 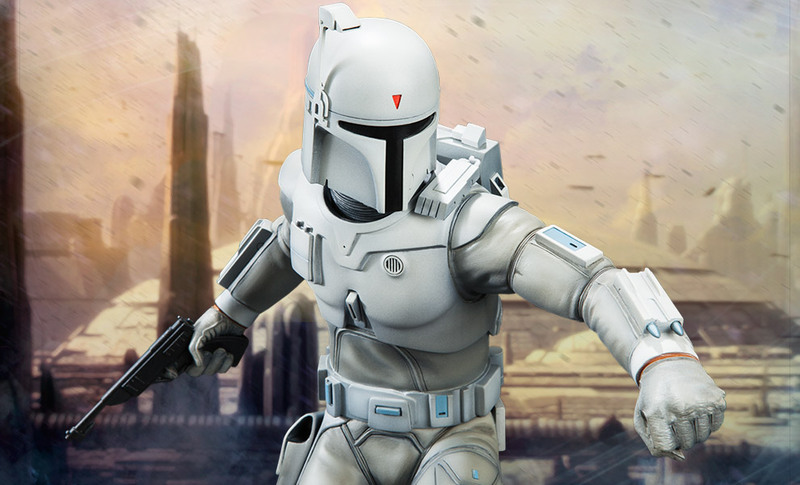 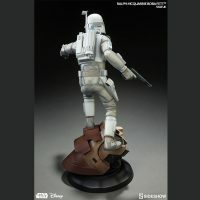 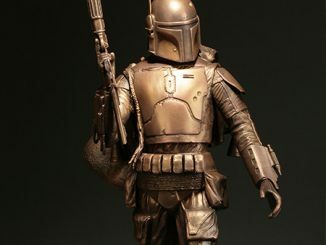 The Ralph McQuarrie Boba Fett Statue provides an excellent look at how the Mandalorian bounty hunter was originally envisioned. 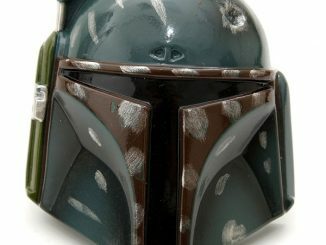 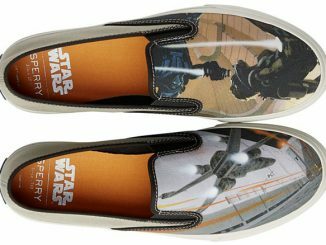 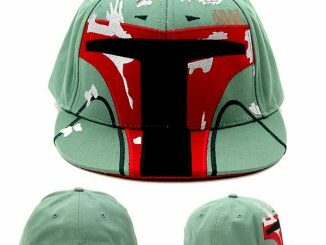 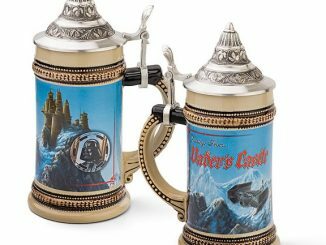 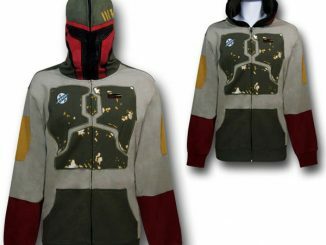 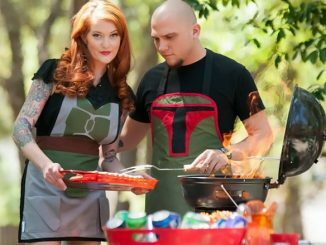 Considering that he didn’t get a whole lot of screen time, and he was beat by a blind guy, Boba Fett became a very popular character in the Star Wars universe. 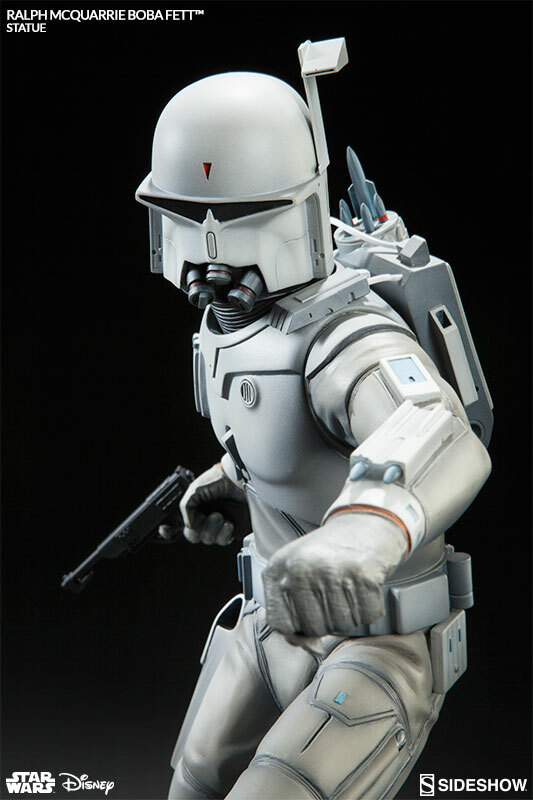 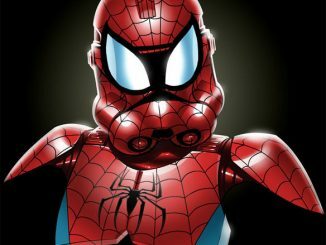 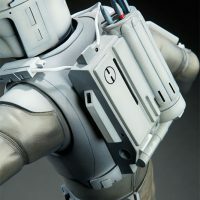 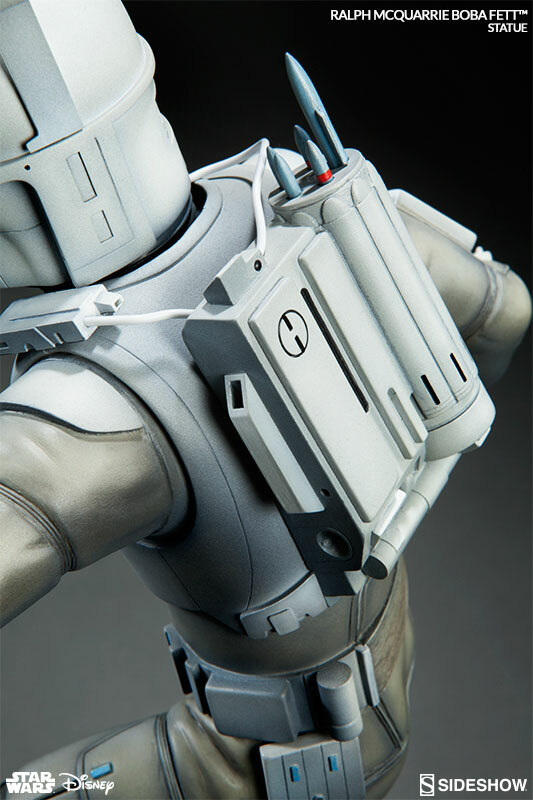 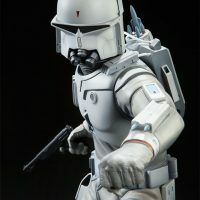 One of the first new characters to be designed for The Empire Strikes Back, Ralph McQuarrie originally saw Fett as a super-trooper version of the Imperial stormtroopers, wearing all-white armor. 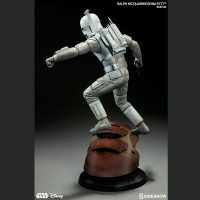 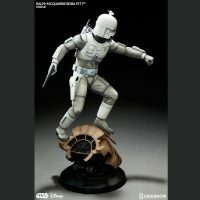 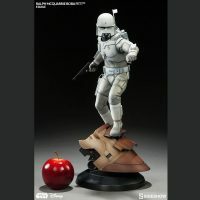 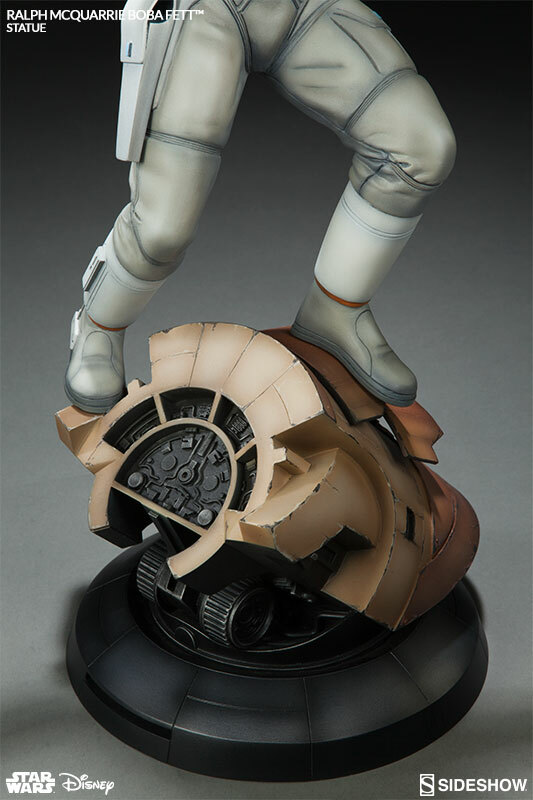 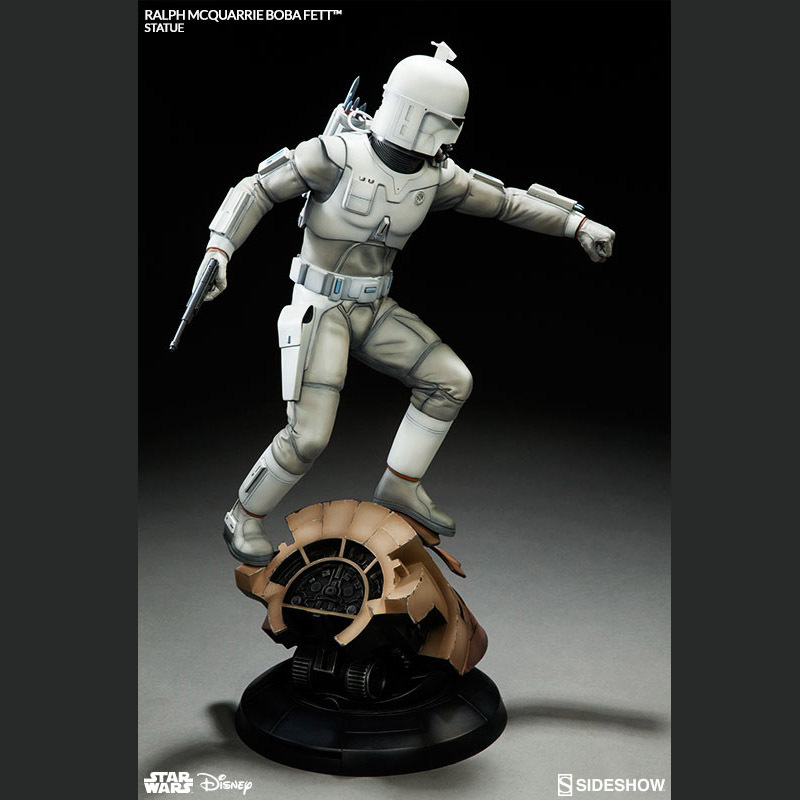 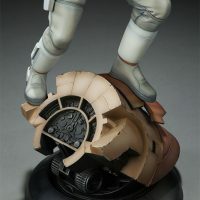 Standing 18 1/2-inches tall, super-trooper Fett is pictured standing on a base inspired by his ship, the Slave I, and he comes with two distinctive helmet designs. 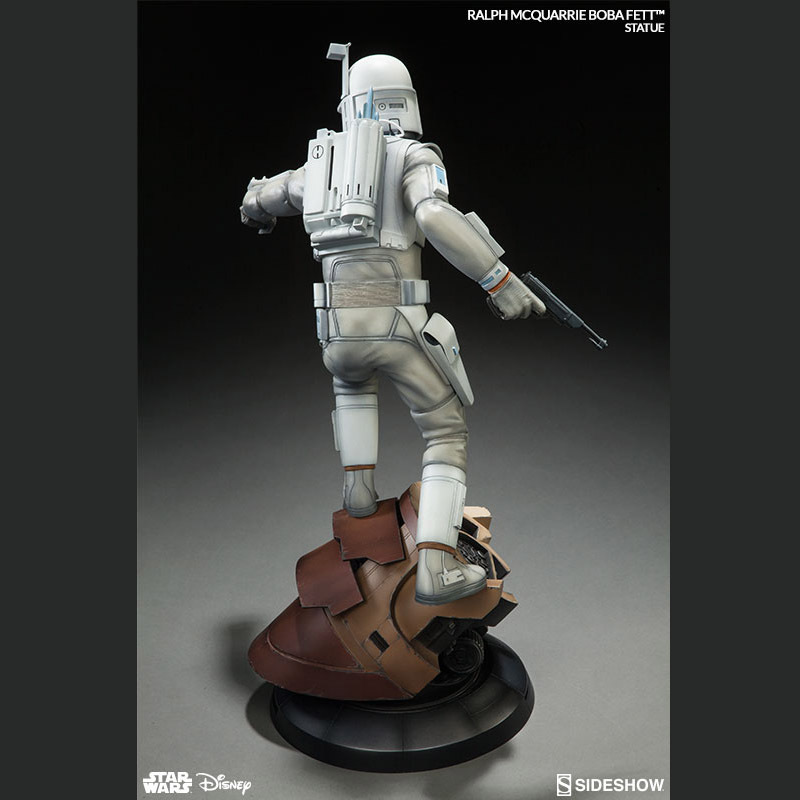 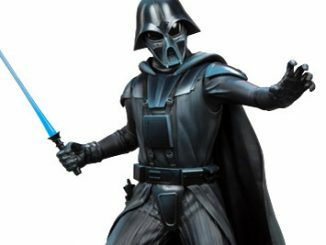 The Ralph McQuarrie Boba Fett Statue will be available Oct 2016 – Dec 2016 but it can be pre-ordered now for $424.99 at Sideshow Collectibles. 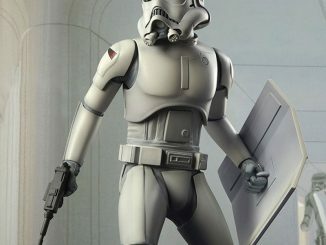 If you’re a fan of McQuarrie’s conceptual work, you might also like his early designs for a stormtrooper and C-3PO.